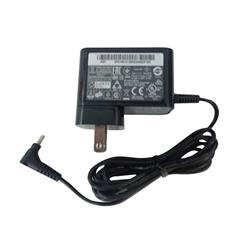 Description: New genuine Acer Iconia Tab black tablet ac adapter charger & plug. Input: 100-240V, 50-60Hz. Output: 12V - 1.5A. This adapter has a round tip and only works with the models listed below. Part #'s: KP.01801.005, KP.01801.009, KP.01801.015, AP.01801.001, HU10104-11295, 2-515-5305, R33030, ADP-18TB C.
Acer Aspire Switch 10 SW5-011, 10 SW5-012, 10 SW5-012P, 10 SW5-015, V10 SW5-017, V10 SW5-017P, 11 SW5-111.